Thursday, Feb 21, 2019, 12:30 – 1:30 p.m. This talk is presented by the Qualitative Multi-Method Research Initiative (QUAL) Speaker Series with support from the Anne H.H. and Kenneth B. Pyle Assistant Professorship, Center for Korea Studies, Center for Global Studies, Comparative Religion Program, Isaac Alhadeff Professorship in Sephardic Studies, Jackson School Ph.D. Program, JSIS Japan Studies Program, Job and Gertrud Tamaki Professorship, Interdisciplinary Ph.D. Program in Near and Middle Eastern Studies, School of Law, and South Asia Center. 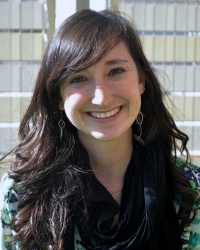 Anna Zelenz is a PhD candidate in the Department of Political Science, UW. She has completed a Concentration in the Qualitative Multi-Method Research Initiative (QUAL) and has participated in a several qualitative research workshops and conferences around the world. Anna's research focuses primarily on lived experiences in spaces of conflict, and it is conducted ethnographically and interpretatively. In this talk, Anna will shed light on her own experiences of ethnographic fieldwork in the Palestinian West Bank.